We use somatic cell reprogramming and genome editing technologies (CRISPR and others) to develop human pluripotent stem cell models of blood diseases, particularly of malignant and pre-malignant disorders of hematopoiesis (Myelodysplastic Syndromes, MDS, and Acute Myeloid Leukemia, AML). We use these models to investigate the disease mechanisms and to develop new therapies. 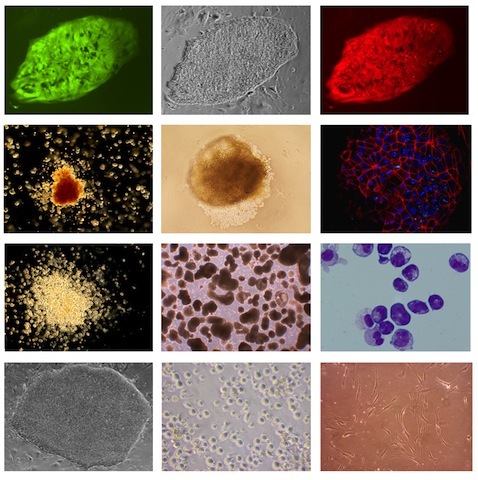 By capturing and introducing disease-associated mutations and larger chromosomal abnormalities, such as chromosomal deletions, in patient-derived induced pluripotent stem cells (iPSCs) we try to understand their phenotypic and functional consequences and seek to identify new therapeutic targets through genetic and chemical screens. We are located in the Leon and Norma Hess Center for Science and Medicine at Icahn School of Medicine at Mount Sinai.